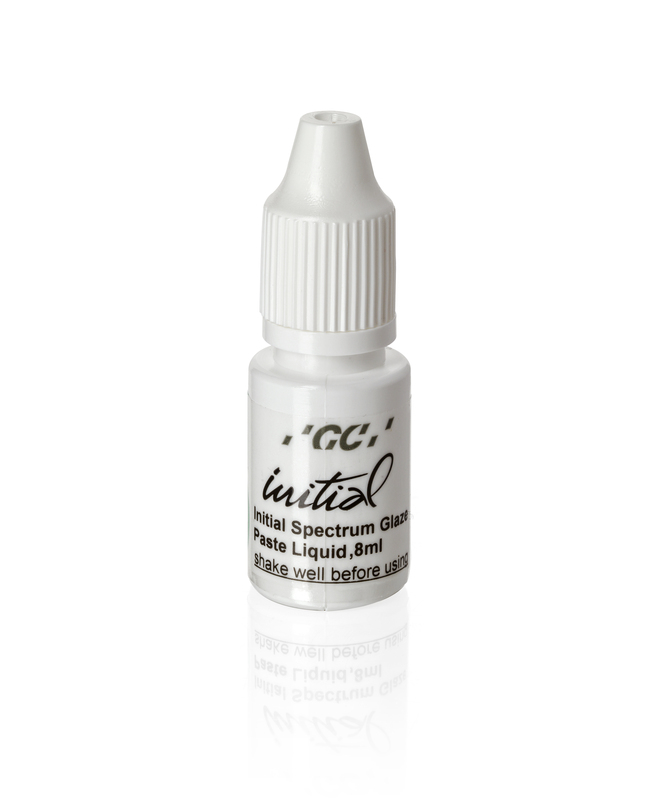 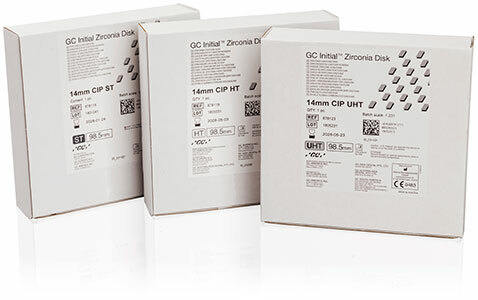 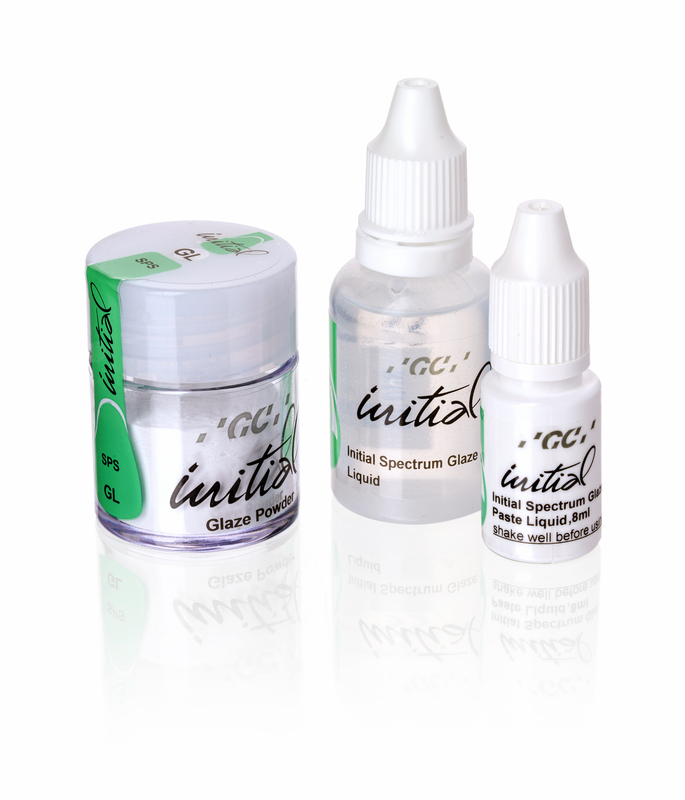 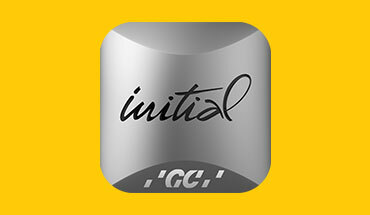 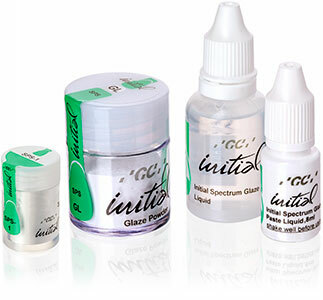 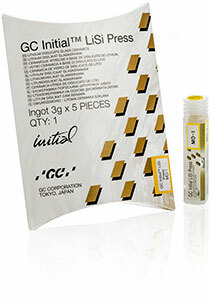 With Initial Spectrum Stains, GC offers a pallet of universal stains and glaze to be used for the individualized staining and internal as well as external characterisation of ceramic materials. 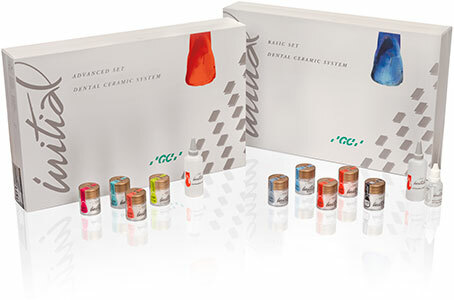 Being compatible to a wide CTE-range, the Initial Spectrum Stains are perfectly adapted to fit on nearly all types of dental ceramics. 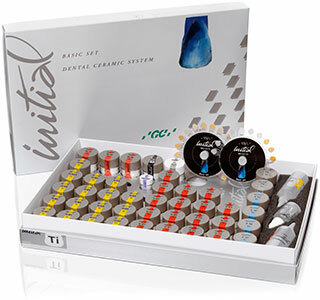 The stains and glaze are developed for the external staining and glazing of tooth coloured ceramic materials and internal individualization of layering ceramics. 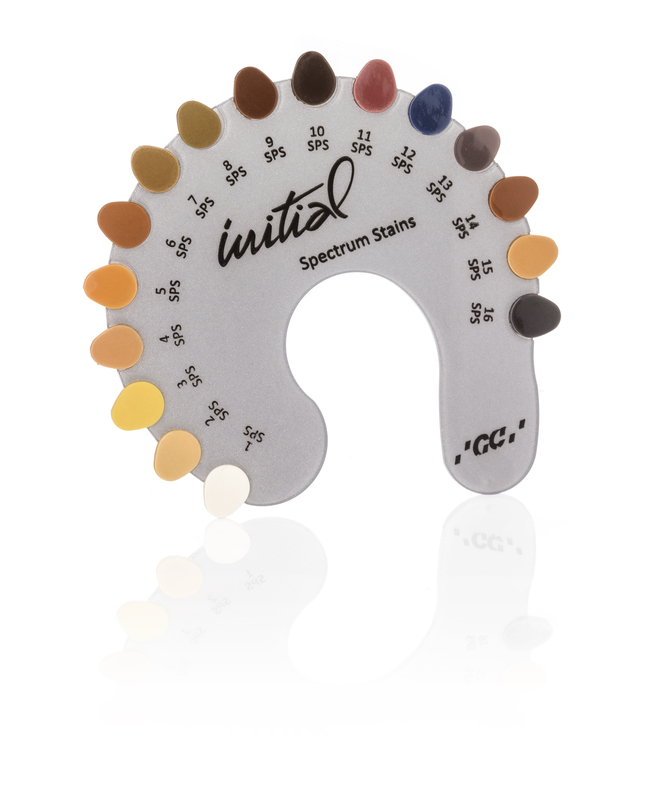 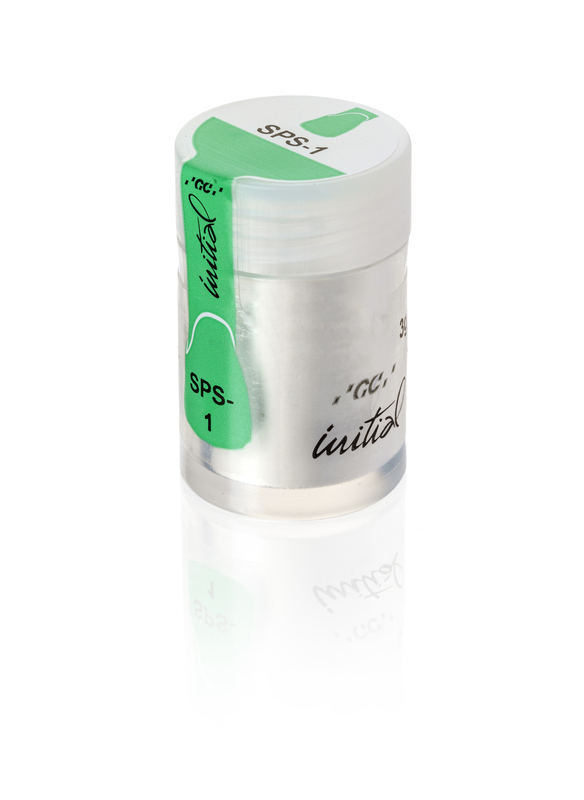 Compatible to a wide CTE-range, the Initial Spectrum Stains are perfectly adapted to fit on nearly all types of dental ceramics. 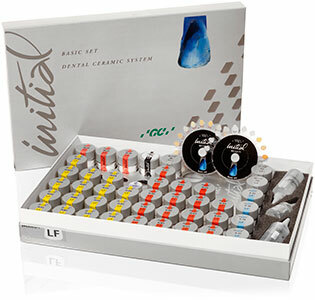 In particular they are adapted to the aesthetical colour concept of the Initial ceramic portfolio. 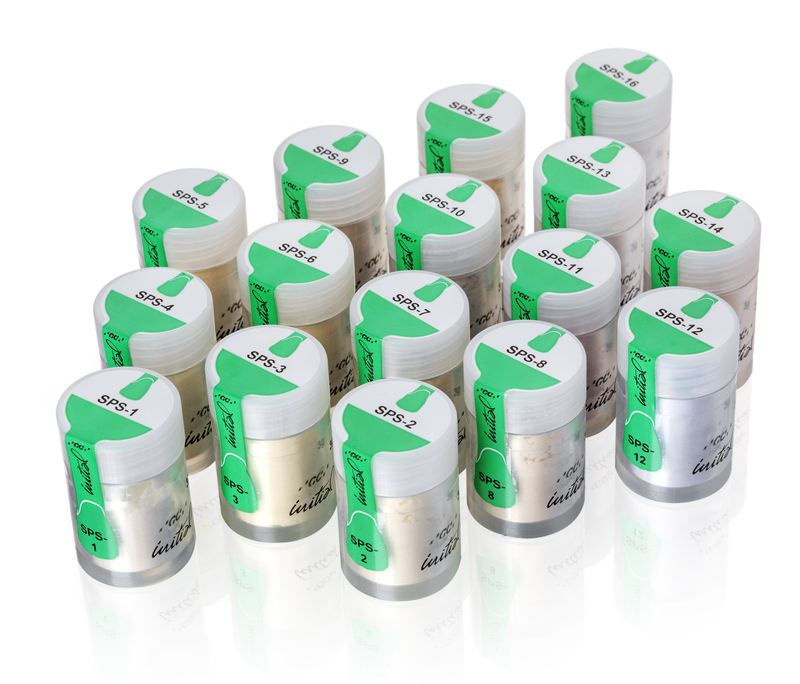 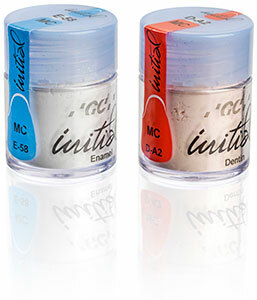 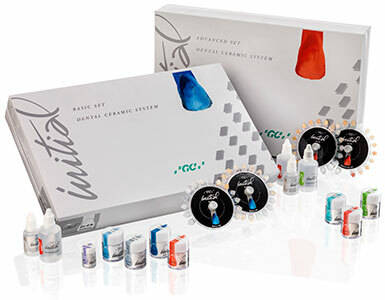 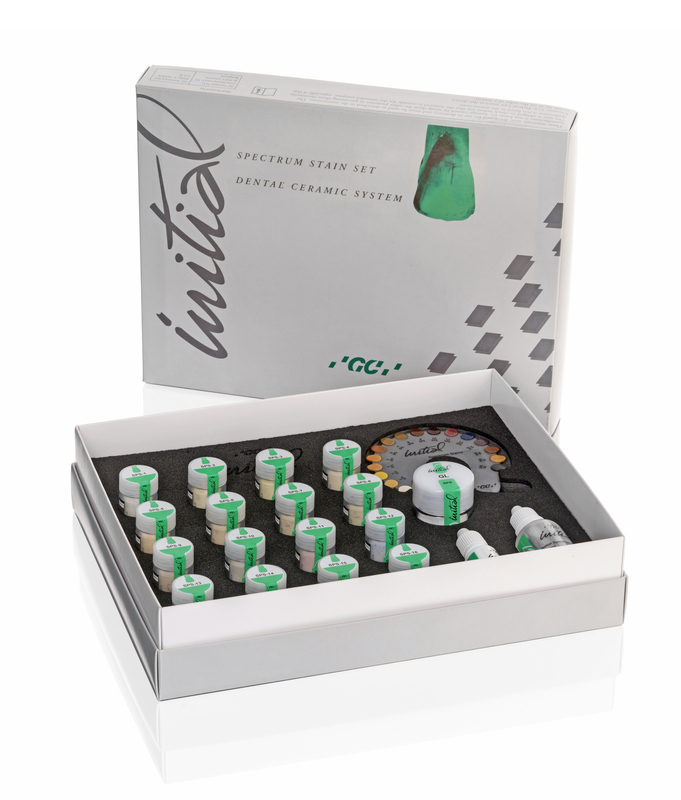 Initial Spectrum Stains are powder stains available in a variety of 16 colours empowering the aesthetics of your restorations. 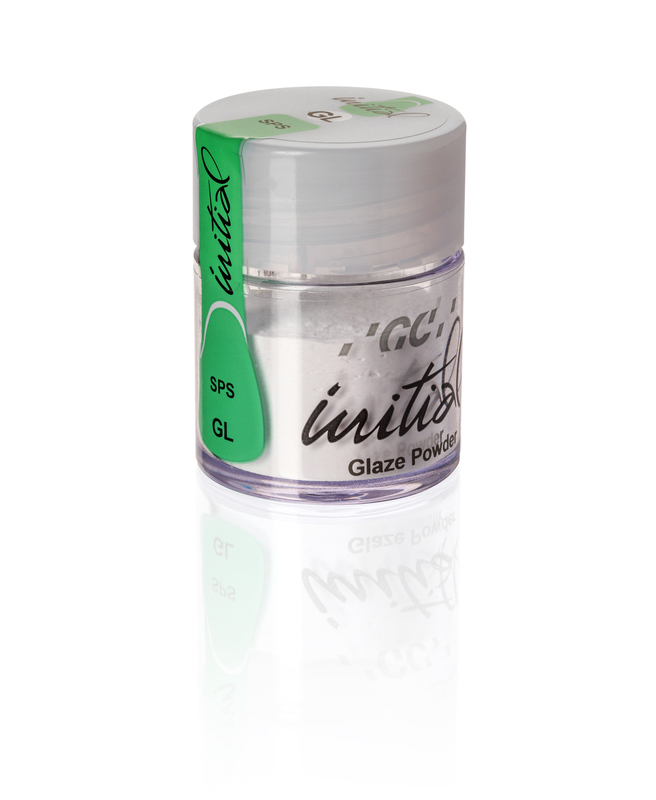 By using either the Glaze or the Glaze Paste Liquid the stains & glaze can be adapted to the preferred consistency of the user. 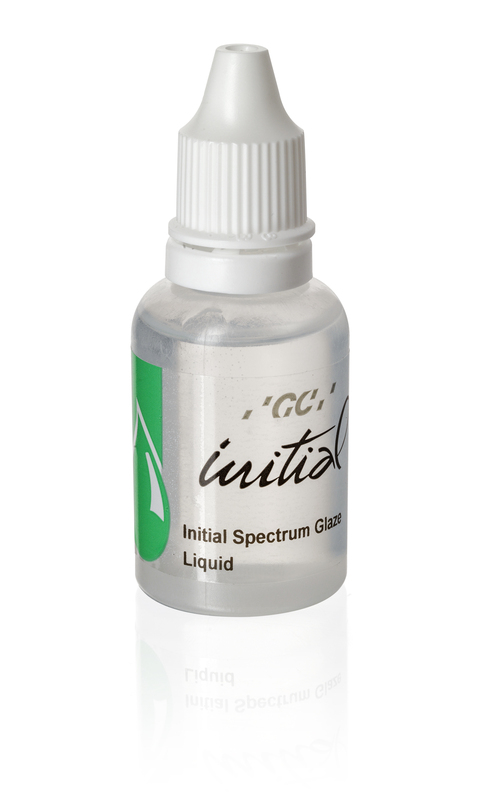 Regardless the way of application a very fine end result will be obtained maintaining the surface texture and assuring an optimal gloss level.